It’s your turn to have your family and friends join you for Thanksgiving. As a first-time or fifth-time Thanksgiving host, you may appreciate some tips to make the day a little less stressful and a little more fun. Plan ahead: Create your grocery list and do your shopping well ahead of time. Double check your purchases against your recipes when you get home and make sure you have everything you need. There’s nothing worse than realizing you are missing a key ingredient on Thanksgiving Day. Some stores aren’t open and those that are can be crowded. Ask for RSVPs: When you send out your invitations, include an RSVP by date. You need to know how much food to have, how many places to set, and even how many chairs to have. If you don’t get a reply from someone, contact them to confirm that they are or are not coming. Keep the menu simple and traditional: This is another time that keeping a menu simple is a bonus. Stick with recipes you know and that are favorites. Cook your turkey upside down: This keeps the turkey moister. Best tip ever! Accept help: Guests are often happier if they have something to do or feel useful. Let them help! Have some tasks they can do — fill water glasses, serve beverages or appetizers, cut veggies, stir gravy. If they ask to bring a dish, let them! It’ll save you time and money in the end. Set your table ahead of time: When guests arrive and the table is set, the home not only looks nice and prepared, but you are less rushed. Setting the table also ensures that you have everything you need for your big day. It’s your new home and your first Thanksgiving. Celebrate all you have to be thankful for. And remember — everything may not be perfect, but if you act like it is, your guests will believe it. You just moved into a new neighborhood and now you need to know the “rules.” Let there be peace on earth and in your neighborhood this holiday season by following some special seasonal etiquette. Turn down the noise. A lot of holiday decorations play music today. If your snowmen and Santas are singing, consider turning them off by 9 p.m. No one wants to Jingle All the Way all night long. In addition, guests come and go more often and at different times during the holidays. Voices carry at night and in the morning so keep your voice down when coming and going. If your holiday lights are extra bright, turn them off at a reasonable hour (10 p.m.) so they aren’t shining in your neighbors’ windows all night long. Kids are extra excited and excitable during the holidays. They can swing from happy to sad on a dime. Don’t let them scream from the top of their lungs with delight or dismay. Keep a few extra inexpensive gifts in your home. If a neighbor pops by with a treat for you, you’ll be ready to reciprocate. Don’t welcome yourself home by honking in your driveway. You’ll be inside to say hello in no time. Same goes for saying goodbye – no need to honk. Are you hosting a party? Invite your neighbors. It’s a great way to spur some neighborhood camaraderie. It also gets you off the hook for a little bit when music or voices get loud. Offer to pick up mail and packages for neighbors who are traveling or working late. Porch pirates are becoming more popular these days so if you can help by keeping packages in your house, you’re doing a great service for a friend. If you have an issue with a neighbor, discuss it with him in person, politely and calmly. Don’t put anonymous notes in mailboxes or post anonymously in online forums. Garbage cans overflow at the holidays. Make sure paper and trash from your overflowing can doesn’t blow into a neighbor’s yard. Find ways to neatly toss your trash. Shovel and de-ice your sidewalks and other pathways. This not only makes your home appear well taken care of, but it can keep people from slipping and sliding as they walk by on their way to school or on their walks with Fido. Give a helping hand. Have an elderly neighbor a neighbor who could use some help? Shovel their driveway and walk as well. And make sure you clear a path for your mail carrier as well. Life is easier when you’re not stepping a pile of slush. Remember your manners and you’ll be the jolliest holiday homeowner of all time. Back-to-School time is coming soon. Don’t let summer slip by without taking part in a few summertime favorites with your kids. Some of these may even harken back to your own summer memories. Share those memories with your kids, while creating new ones. Spend the day at a sandy beach near you. You don’t have to take a trip to Florida to get the most out of sun and sand. There are a lot of state parks, national parks and local parks that have fun beaches. Grab a pail, a shovel, some chairs, your sunscreen and a picnic lunch and make memories by the water for one last summer splash. Play mini golf. This is the perfect after-supper activity. It’s relaxing and challenging at the same time. Kids and adults alike have fun trying to get past the windmill, down the right slope and into a hole in one! Be a tourist for the day. Let’s face it, there are towns and historical sites that we never go to and hikes we never take because they are for the tourists. But these places provide a lot of new information about your local community and your state. And there’s a reason tourists go there – they are fun to visit. Don’t miss out on the reasons out-of-towners hit the towns! Find a festival. Summer is about festivals and there’s a festival for everyone. Whether your family is into art, culture or funnel cakes, there’s a festival somewhere. Grab the kids, head to the Ferris wheel with cotton candy and just have some summer fun. Camp in the backyard. Set up the tent, grill hot dogs and make s’mores – all without leaving home. There are memories to be made in your own backyard. Telling ghost stories and giggling past dark is a part of many family traditions. It could be a part of yours! Get ice cream from the ice cream truck. Few things sound like summer as much as the songs from the ice cream truck. Don’t let it pass by this summer without stopping for a rocket pop! Whatever you do, make the last breath of summer a memorable one for you and your family. Paint Like a Pro before You Hire One! Is painting a room or two or your entire house on your to-do list? You don’t need to hire a professional to make your home look like you did. Here are some tips for making your home improvement painting project a snap. Wash your walls. Wash your walls to ensure they are clean before you start. And vacuum floors and dust where you need to. A clean surface makes for a better paint job. Remove wall plates, light switch covers, etc. Don’t tempt fate by trying to paint around wall plates. You’ll save a lot of time in touchups and and trying to scrape paint off of these if you just take them off. Use primer. Primer isn’t something to use if you choose. It provides a good surface to hold the paint and it brings out the paint’s true colors. You spent a lot of time picking the perfect color. Let it shine through. Use an edge pad. Create smooth lines around door frames, ceilings and corners to bring everything together with an edge pad. Buy enough paint. Professional painters say you’ll need one gallon for every 400 square feet. If your walls are textured, not primed or have other details, they may require more. Better to be safe than sorry. Get a little extra in case you need it and for touchups later. Pick the right paint. Semi-gloss is good for high traffic areas. If you have kids, it’s the best choice. But don’t hesitate to ask at the home improvement store or paint store about the best kind of paint to use for your project. They love to dish the dirt on the right paint for different jobs. Paint when the air is dry. If you are expecting a humid day, skip painting. Your paint will dry faster if you paint when it’s not humid. Let your paint dry. Don’t be in a hurry. Let your paint dry completely before you fix a spot or add another coat. If it’s not completely dry, you run the risk of leaving marks or streaks. Use a roller. You can cover a lot more space in a lot less time with a roller rather than a brush. Save the brush for smaller areas and use a roller to cover the walls. You don’t have to hire a pro. Just paint like one! Whether it’s an accident or an illness, few people are expecting their lives to change in the moment from a Traumatic Brain Injury. Troy and Twilia are no different. Troy exercised regularly and was by all accounts a healthy man. Yet one afternoon at work, he found himself choking on his lunch and having a life-changing stroke. 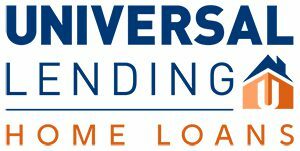 We are proud that the Universal Lending Foundation stepped in and helped them work on healing and recovery by paying their mortgage through our Mortgage Bridge Program. The program is designed to make up to three months of mortgage and HOA payments to patients or caregivers of patients at Craig Hospital, so they can find ways to heal and work toward physical, mental and emotional wellness. It is our privilege to provide support to during this time of need, and we appreciate all of our customers who help make this possible.